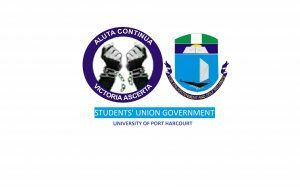 STUDENTS` UNION GOVERNMENT, from the office of the Director of Socials of the University of Port Harcourt, introduces CRACK- UP UNIPORT. 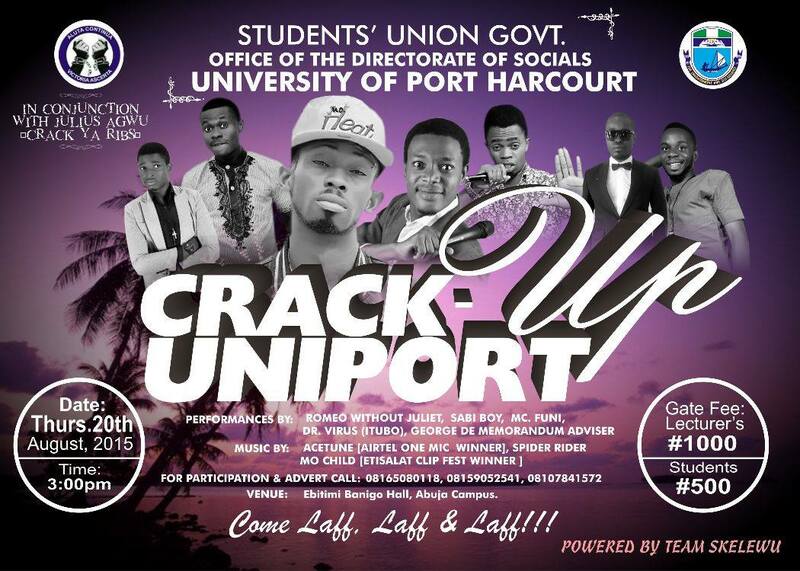 To Participate in this awesome Event, for Sponsorship and Advert, Contact; 08165080118, 08159052541, 08107841572. Come Laff, Laff & Laff!! !